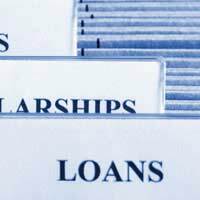 Student loans may have become commonplace for today's graduates, but that is usually little comfort to a young professional who must wade through the details of paying them back. Often these young people aren't even given clear information on what they owe, when they owe it and how they can pay it, making budgeting a nightmare. Continue reading for some basic information on student loans in the United Kingdom. Student loan repayments are calculated on an individual's salary. When your gross earnings rise above £15,000 per year, or £1,250 per month (£288 per week) then you will are legally required to begin paying back your student loans. Any income that you have that comes from other sources, such as savings or investments, also count towards money that can be used towards student loan repayments so you'll need to look into Self Assessment for making extra repayments. The good news, however, is that once you hit the £15,000 threshold you only make repayments on what you earn over that threshold, so you pay 9% of whatever you earn over £15,000, not 9% of your total earnings. And if your salary is inconsistent (i.e. you make different amounts at different times) then your repayments will be adjusted with each PAYE period. If you are self-employed or calculate your taxes by Self Assessment then your year-end tax return will be used to calculate your student loan repayments for that year. If your earnings ever fall below the £15,000 repayment threshold then your repayment requirement will cease until your earnings rise again. Assuming that you earn the £15,000 repayment threshold or greater, your student loan repayments will begin on the 6 April after you graduate or otherwise leave your course. Depending on your employment, student loans are generally repaid in three ways. Individuals employed by others (PAYE workers) usually have their student loan repayments deducted automatically from their salary. Individuals who are self-employed, or have combined income from being employed and self-employed, calculate their repayments based on yearly income. Individuals who move overseas (for more than three months) become responsible for making repayment arrangements with the Student Loans Company. This is done by completing an Overseas Assessment Form that requires details of your employment and salary while overseas. The Student Loans Company will then calculate whether or not you need to make repayments, what your monthly repayment will be and will help you arrange for payments. If your income increases or decreases while overseas you must again contact the Student Loans Company to report these changes and calculate new loan repayments. Once you have your student loan repayments worked out there are ways to manage your loan that can help you pay it off more quickly or apply for a refund if you believe that your are due. For example, if you are interested in making voluntary payments to speed along your loan repayment then you may do so by cheque or postal order, debit or credit card, direct debit, bank giro or standing order. If, however, you find yourself with a varying income throughout the year and believe that you have made less than £15,000 overall - but made loan repayments nonetheless - then you may also apply for a refund. The Student Loans Company will not make refunds on voluntary payments, and you are not required to claim refunds due to you if you prefer to clear your loan more quickly. If you have overpaid your loan, for example your deductions were still taken even when your loan was repaid, then you will need to contact the Student Loans Company with evidence (your wage slips).